We have just spent three exhausting but exhilarating days in Dakar, Senegal, at the High-Level Meeting on Ending Child Marriage in West and Central Africa. The meeting brought together government leaders, civil society, religious and traditional leaders and youth from around the region, as well as donors, regional African organisations, the African Union and the United Nations. It was a particular pleasure for us to spend time with the many Girls Not Brides members from 21 countries who joined the meeting. And the energy of the young representatives was infectious. It is exciting to see the encouraging progress that is starting to take place at national level. This region has the highest rate of child marriage in the world. Two of every five girls are married by age 18. And given the demographic growth estimates for West and Central Africa, millions of girls will become child brides in the coming decades if we don’t accelerate efforts to end child marriage – starting now. 1) Civil society and youth groups in this region are a force to be reckoned with. They know what really happens in the communities – and how to work with families and girls to help them realise that child marriage is not the best solution, for anyone. Civil society organisations and youth groups are doing amazing work, at the community, national and regional levels. They are committed to working together – in national coalitions and partnerships – and with governments. They need to be empowered and supported, and can help make major change happen at scale. 2) Laws defining the minimum age of marriage alone won’t do the trick. A government’s role goes far beyond setting and implementing these laws – they need to publicly champion the issue. They also need to take leadership in developing and implementing comprehensive national strategies and action plans to tackle child marriage, and allocating the necessary budgets. 3) There are many governments in the region that are tackling the issue head on. Some governments have already adopted national strategies, others are in the process of developing them. And those governments that did not yet have concrete plans are leaving Dakar committed to engage further. However, there was acknowledgement that Ministers of Gender often have limited power within their government structures back home. They now have the challenge of mobilising their peers who are responsible for education, health, justice, and finance. 4) Throughout the meeting, participants highlighted the complementary approaches required to tackle child marriage. These included programmes to empower girls, efforts to mobilise communities, the availability of services, and an enabling policy and legal framework. Some issues came up again and again – including the need for quality girls’ education (including secondary school), sexual and reproductive health services (for both married and unmarried girls), as well as birth and marriage registrations. 5) We’re not going to make progress if we don’t work across sectors. Efforts to end child marriage will only be successful if we recognise the link with essential services such as education, reproductive health, social protection, and justice. 6) We’re also not going to make progress if diverse actors don’t work together. This came up again and again: governments, civil society, religious and traditional leaders, youth and others – all have to collaborate if we want to end child marriage. 7) The work of international actors is essential, but they can’t and shouldn’t be in the driver’s seat. UN agencies, international NGOs and donors should support, encourage and enable local and national leaders and their efforts. 8) There are multiple regional and international frameworks that outline government commitments and obligations, including the SDG target 5.3 (to end child marriage by 2030). Now is the time to deliver on these commitments, track progress and report back – both regionally and internationally. If we don’t measure what is happening, we don’t know if commitments are being turned into action. And we won’t know whether we are actually making progress and reducing the rates of marriage. 9) Progress is going to require long-term commitment, and a significant increase in resources – both domestic and international. In particular, we need more funding from related sectors, as well as to support the critical work at community, grassroots level. It’s a catalytic investment – especially as we were reminded that child marriage is linked to half of the SDGs, and is currently costing national economies in the region billions of dollars. 10) The religious and traditional leaders at the meeting brought a perspective that is rarely-heard in these kinds of meetings. They reminded us all that, while some people justify child marriage using religious arguments, the practice is not endorsed by any religion. These leaders are committed to helping change the narrative, especially within communities. We are leaving Dakar tired but optimistic; ending child marriage in West and Central Africa now seems more feasible than ever. And we were blown away by the energy and commitment of so many impressive individuals from across the region (and beyond) who are willing to accelerate action and work in partnership. We wouldn’t be surprised if this meeting marks a turning point in efforts to end child marriage in the region. That would not just be great for the many girls at the risk of child marriage, but also for their communities and their economies. 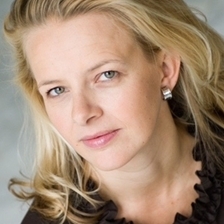 Mabel van Oranje is the initiator and chair of Girls Not Brides: The Global Partnership to End Child Marriage. She has been a global advocate for freedom, justice and development for two decades. Lakshmi Sundaram is Executive Director of Girls Not Brides: The Global Partnership to End Child Marriage. She is responsible for ensuring that Girls Not Brides delivers on its strategy and advances our collective efforts to end child marriage.